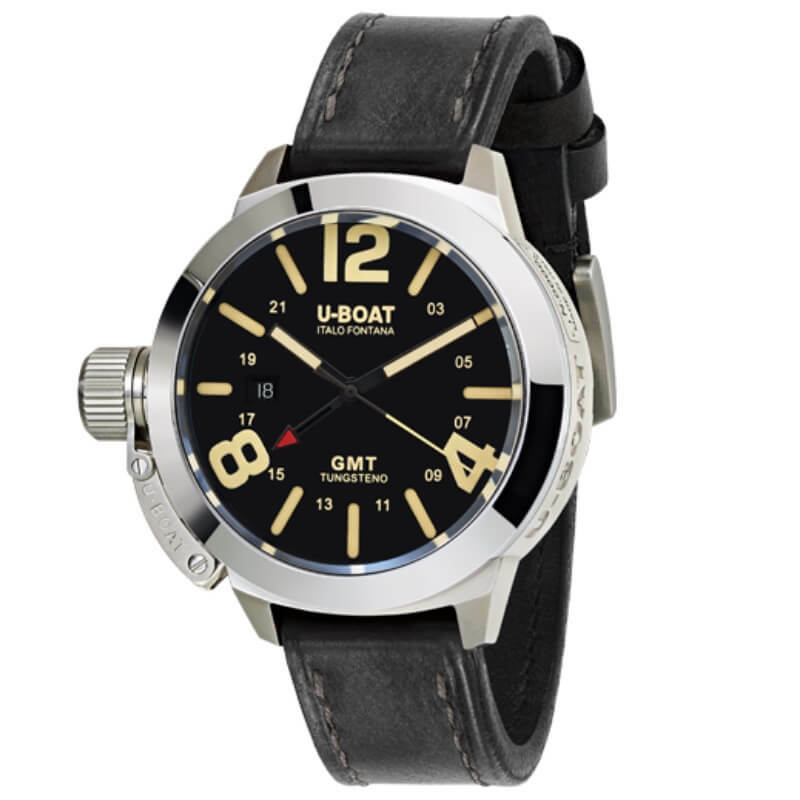 U-2893 GMT automatic mechanical, personalized to U-BOAT specifications, with date display and stem position at 9 o’clock; second time zone. Hours, minutes, seconds, hand for time-zones mechanism, date. AISI 316L stainless steel with satin finish, distinctive crown on left side with patented protection device. Diameter 45 mm. Polished tungsten bezel. Sealed with seven external screws, fumé sapphire crystal reveals the movement. Black with beige hands and markers. Red time-zones hand. High quality sapphire, scratch proof , anti-reflective crystal. Handmade from hand-finished dark brown calf leather. Stainless steel tongue buckle.